From Atlanta: Take I-75 south to the Riverdale/GA Hwy 85 exit. Take Hwy 85 thru Riverdale into Fayetteville.Turn left onto Georgia Ave. Make a right onto Church St. Go to second stop sign, church is on the right. From Jonesboro: Take Hwy 19 / 41 South. Turn right at the QT onto Hwy 54 West. Take Hwy 54 into Fayetteville. Cross Jeff Davis Rd. Turn right onto Church St. Go to stop sign, church is on the left. From Peachtree City Take Hwy 54 East into Fayetteville. Cross GA Hwy 85 and turn left onto 2 nd street (Melissa Segars Way). Keep straight thru the stop sign onto Church St. Go to the stop sign, church is on the left. 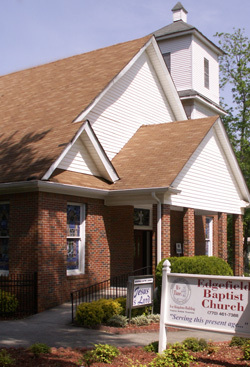 © 2013 Edgefield Baptist Church. All Rights Reserved.